GENEVA (27 April 2016) - A group of United Nations human rights experts* today warned that over a dozen political prisoners in Iran, including some prominent human rights defenders, lawyers and political activists, are at risk of death in detention due to their worsening health conditions and the continued refusal by the Iranian authorities to provide them with medical treatment. "The condition of several prisoners of conscience with serious health problems has been exacerbated by their continued detention and by repeated refusals to allow their access to the medical facilities and treatment they so urgently require," the experts said. "The denial of medical care, physical abuse, either in overcrowded prisons or in solitary confinement and other forms of torture and ill-treatment exposes prisoners to risk of serious injuries and death," they said noting that "unfortunately, Iranian prisons are no strangers to such tragedies, many of which could have been avoided if authorities exercised proper care." 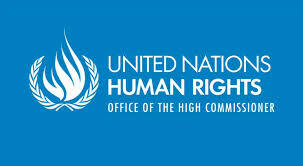 The UN experts highlighted the cases of political prisoners Mohammad Hossein Rafiee Fanood and Kamal Foroughi, human rights defender Nargis Mohammadi, lawyer Abdulfattah Soltani, blogger Hossein Ronaghi Maleki, religious figure Sayed Hossein Kazemeyni Boroujerdi and experimental laser physicist Omid Kokabee. Mr. Kokabee was arrested in January 2011 upon his return from studies in the United States and is currently serving a ten-year prison sentence for his alleged 'connections with a hostile government'. He was diagnosed with kidney cancer and recently underwent surgery to remove his right kidney, a procedure that could have been avoided, had he been provided with adequate and timely access to proper treatment at an earlier stage. When the care is ultimately provided, as Mr Kokabee's case, patients are often transferred to and from prisons chained to their beds. "The situation of these prisoners and the continued disregard for their health and well-being by the Iranian authorities is completely unacceptable," the experts stressed. "This is especially the case given that allegedly all of them have been arrested, detained and convicted purely for their peaceful exercise of their fundamental freedoms and rights." "We urge the authorities to consider the release of Mr Kokabee and other political prisoners on medical or humanitarian grounds and to ensure their well-being by facilitating regular access to medical care," they said. The human rights experts reminded the Iranian Government of its obligations under international standards to respect the prisoners' right to health and to ensure their humane treatment. "Failure to provide adequate medical care to prisoners is in breach of Iran's international human rights obligations and domestic standards," they underscored. "We have repeatedly drawn the attention of the Iranian authorities to allegations related to the denial of access to medical care and to substandard conditions of detention and urged them to embark on a more comprehensive prison reform. We regret that the Government has so far failed to properly investigate these allegations and take the necessary measures," the human rights experts concluded. Mr. Ahmed Shaheed, UN Special Rapporteur on the situation of human rights in the Islamic Republic of Iran; Mr. Dainius Puras, UN Special Rapporteur on the right of everyone to the enjoyment of the highest attainable standard of physical and mental health; Mr. Juan E. Mendez, UN Special Rapporteur on torture and other cruel, inhuman or degrading treatment or punishment; Mr. Maina Kiai, UN Special Rapporteur on the rights to freedom of peaceful assembly and of association; and Mr. Seong-Phil Hong, Chair-Rapporteur of the UN Working Group on Arbitrary Detention.